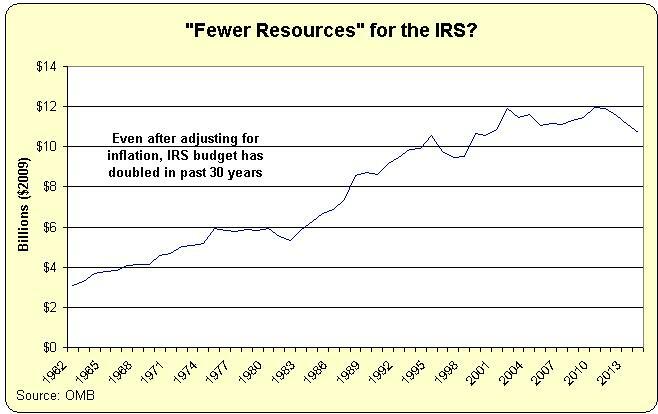 Who Deserves Blame for the Oppressive Tax System, the IRS or Politicians? For the past 30 years, I’ve been criticizing both the tax code and the IRS. Which raises an interesting chicken-or-egg question about who should be blamed for our nightmarish tax system. Should we blame IRS bureaucrats, who have a dismal track record of abusing taxpayers? Or should we blame politicians, who have been making the tax code more onerous ever since that dark day in 1913 when the income tax was adopted? In this exchange with Stuart Varney, I take an ecumenical approach and blame both. As you can see, I am slightly conflicted on this debate. There are plenty of reasons to condemn the IRS, and not just because of what I mentioned in the interview about its deplorable campaign to suppress political speech by Tea Party organizations. It also has thieving employees. Yet there is an equally strong case to be made that politicians are the real problem. They are the ones who created the tax system. They are the ones who make it more complex with each passing year. And they are the ones who constantly give more power and money to the IRS in hopes of generating more cash that can be used to buy votes. Indeed, the most important thing I said in the interview is that the IRS budget has dramatically increased over the past few decades. And that’s after adjusting for inflation! So while I’m surely not a fan of the IRS, I’m probably even more critical of politicians since they’re the ones responsible for the bad laws that empower bureaucrats. Let’s close with some humor. 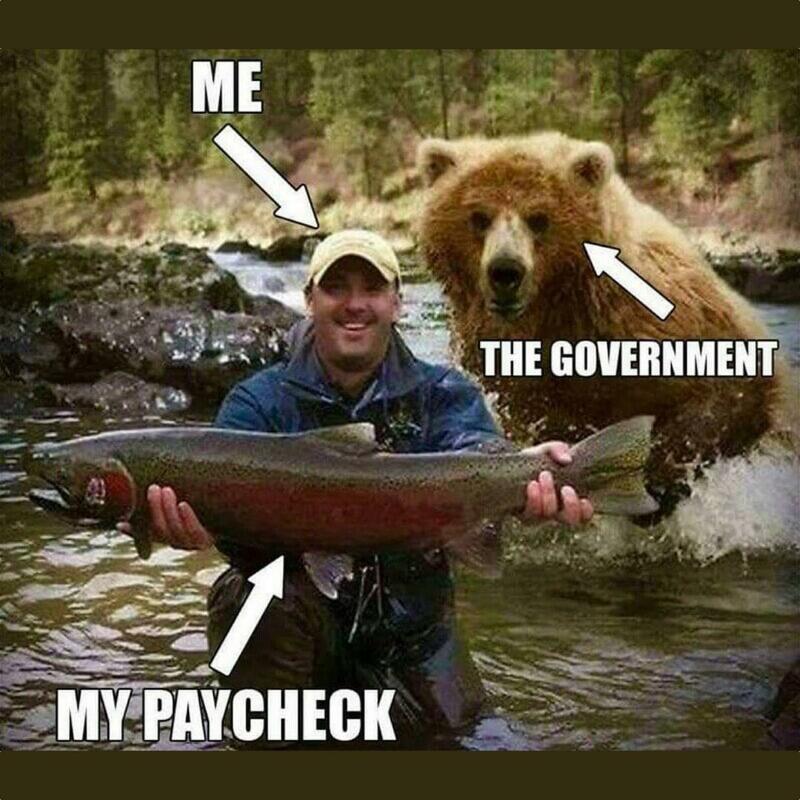 First, here’s a painful reminder (h/t: Reddit‘s libertarian page) of the relationship between taxpayers and politicians, though it’s worth noting that they want to grab your income regardless of whether there’s a lot or a little. In other words, the taxpayer could be holding a minnow and nothing would change. Maybe I should add this image to my archive of IRS humor, which already features a new Obama 1040 form, a death tax cartoon, a list of tax day tips from David Letterman, a Reason video, a cartoon of how GPS would work if operated by the IRS, an IRS-designed pencil sharpener, two Obamacare/IRS cartoons (here and here), a collection of IRS jokes, a sale on 1040-form toilet paper (a real product), a song about the tax agency, the IRS’s version of the quadratic formula, and (my favorite) a joke about a Rabbi and an IRS agent. *In my libertarian fantasy world, we would return to the limited government created by the Founding Fathers, thus eliminating the need for any broad-based tax. How the elephant in the room : The voters, “The People”. If politicians advocated return to the limited government of the founding fathers how many votes would they get? There’s no demand so there’s no supply. Our fisherman volunteers at the Save The Bears society every Tuesday afternoon. He gets what he votes for. Ah, Dan- such a dreamer. A legal one, however. I also long for a return to the limited government envisioned by our founders. I guess the question I have is this: Since they put in place fail-safe mechanisms to stop government growth, what is it they missed that would have prevented this unchecked growth, and what Trump and friends call “the swamp”? As a quick note, I personally believe the 17th amendment contributed much to the downfall. Let the states go back to appointing senators, and many of our problems diminish. If you want to fix the safety-net and the tax code a flat tax plus UBI is the way to do it.